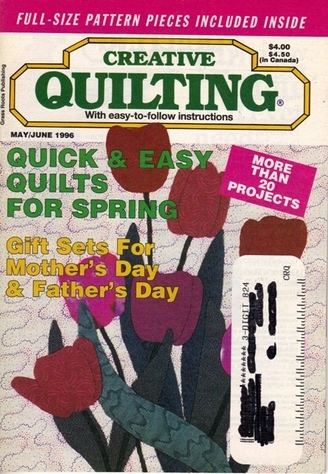 This issue includes quick & easy quilts for spring as well as gift sets and quilts for the moms & dads in your family. There are patterns & instructions for both pieced and applique projects. Some full size patterns are included. Projects include: Father's Day set, Gone Fishing Quilt, Southwestern Quilt, Birdhouse Quit, Garden Girls Set, Pieced Tulips Quilt, Appliqued Tulips Quilt, Mother's Garden Quilt, Mother's Day Set, Clever Clef Quilt (for the musician/music lover) Mini Gardener's Quilt and Mini Mittens Quilt. This item is in very good to excellent condition. The mailing label on the front cover has been blacked out.